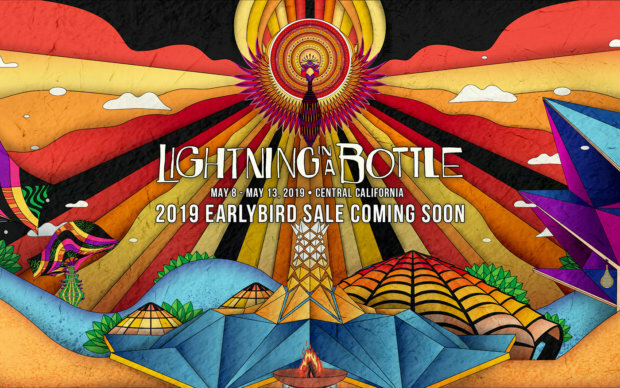 Lightning in a Bottle 2019 is Moving! I couldn’t be more excited for 2019’s Lightning in a Bottle! This year it’ll take place 2 weeks earlier on May 8th – 13th and I can’t wait! The festival is also going to be held in a beautiful new venue location this year, which has said to be an improvement in nearly every way. I’m excited to see how LIB evolves and grows with this change. Planning is in full swing and they already see many wonderful opportunities for upgrading the LIB experience at its new home, creating a new LIB wonderland. In the meantime, they’re asking all of us to take a moment to help us visualize a beautiful LIB this May. Imagine yourself with your friends, families and lovers, surrounded by music and art, making that LIB magic together. I’m sure everyone is excited to bask in the joy of LIB… this time for a fantastic new and improved experience!